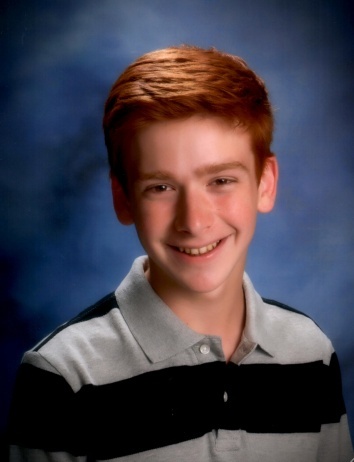 High school senior Dominick Rowan of Armonk, New York, is making discoveries about other worlds. 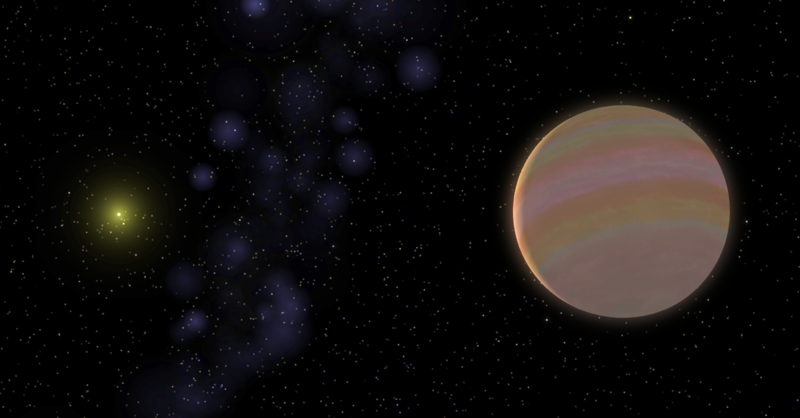 Working with University of Texas at Austin astronomer Stefano Meschiari, Rowan has helped to find a Jupiter-like planet and has calculated that this type of planet is relatively rare, occurring in three percent of stars overall. Their research is has been accepted for publication in the Astrophysical Journal. 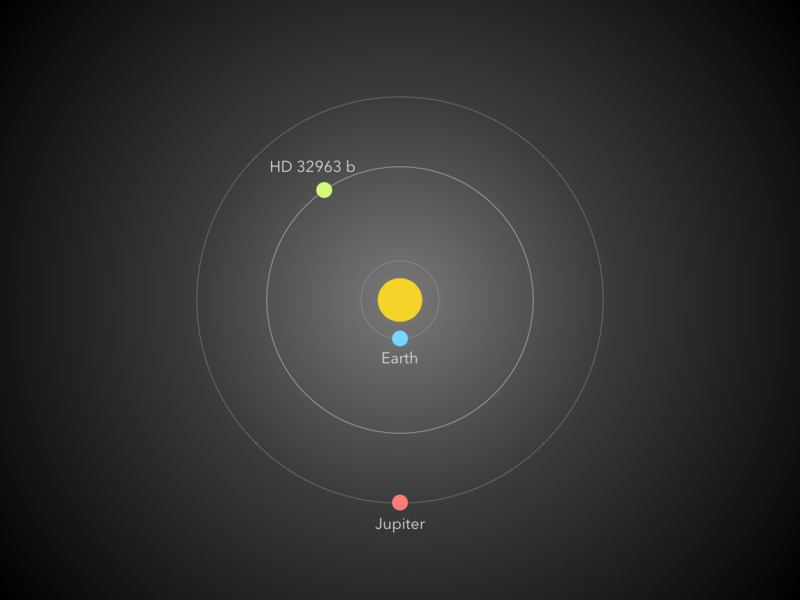 The team, which also includes astronomers from the University of California, Santa Cruz and others, announced their newly discovered planet orbits a Sun-like star called HD 32963. They discovered the planet using observations with the Keck Telescope in Hawaii. While working on this project, Rowan said that he became interested in how these large, Jupiter-like planets are so important to the formation of planetary systems. Meschiari suggested to Rowan that he could undertake a project to calculate how often Jupiter-like planets form, using the sample of more than 1,000 stars that the team has probed with the Keck Telescope over the past two decades, looking for planets around them. They used software previously created by Meschiari, called Systemic. An online version of it, called “Systemic Live,” is used in astronomy classes at colleges across the country. It is a web-based application that lets students visualize and manipulate real data from telescopes around the world, to try to find the signatures of extrasolar planets as-yet unknown. Rowan explained that when he started the project, “the first objective of the study was to detect all the Jupiter analogs in the Keck survey to calculate their frequency. However, after identifying HD 32963b as a new, unpublished Jupiter analog, Dr. Meschiari and I worked to constrain the planetary parameters as an additional objective of the research. Astronomers use them to study everything from the asteroids and planets in our own solar system to galaxies billions of light-years away in space and time. Though they bring the mysteries of the universe to us, their workings are anything but mysterious. They gather and focus light from objects in the sky, so that it can be directed into an instrument attached to the telescope, and ultimately, studied in detail by a scientist. 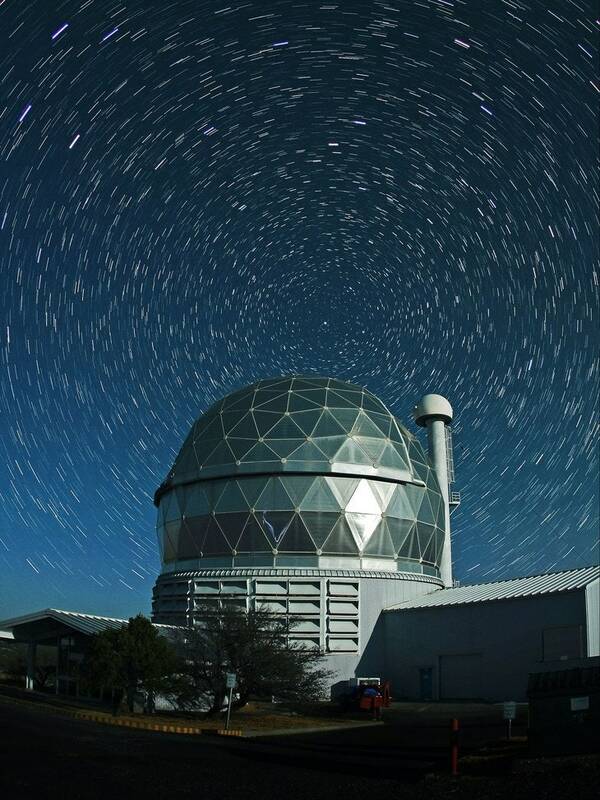 At McDonald Observatory, we have several telescopes, built at various times since the Observatory’s founding in the 1930s. University of Texas astronomer Natalie Gosnell has used Hubble Space Telescope to better understand why some stars aren’t evolving as predicted. These so-called blue stragglers look hotter and bluer than they should for their advanced age. It’s almost as it they were somehow reinvigorated to look much younger than they really are. Gosnell wanted to find out what happened to them. So she, along with Bob Mathieu at the University of Wisconsin-Madison and their collaborators, designed a study using Hubble Space Telescope’s Advanced Camera for Surveys [ACS] to try to differentiate between three theories of how these stars became blue stragglers. The science team comprises N. Gosnell (University of Texas, Austin), R. Mathieu (University of Wisconsin, Madison), A. Geller (Northwestern University and University of Chicago), A. Sills (McMaster University), N. Leigh (University of Alberta and American Museum of Natural History), and C. Knigge (University of Southampton, UK). 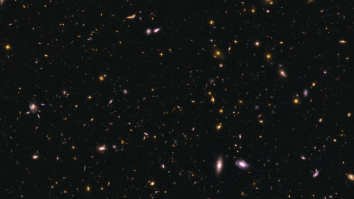 A study published in today’s Astrophysical Journal by University of Texas at Austin assistant professor Steven Finkelstein and colleagues reveals that galaxies were more efficient at making stars when the universe was younger. The announcement explains the team’s discovery, announced in the journal’s September 1 issue, that there are a lot more bright, highly star-forming galaxies in the early universe than scientists previously thought. Some dying stars suffer from ‘irregular heartbeats,’ research led by astronomers at The University of Texas at Austin and the University of Warwick has discovered. The team discovered rapid brightening events — outbursts — in two otherwise normal pulsating white dwarf stars. Ninety-seven percent of all stars, including the Sun, will end their lives as extremely dense white dwarfs after they exhaust their nuclear fuel. Such outbursts have never been seen in this type of star before. “It’s the discovery of an entirely new phenomenon,” said graduate student Keaton Bell of The University of Texas at Austin. Bell reported the first pulsating white dwarf to show these outbursts, KIC 4552982, in a recent issue of The Astrophysical Journal. This week, a team led by recent University of Texas PhD J.J. Hermes, now of the University of Warwick, is reporting the second white dwarf to show this trait: PG1149+057. Hermes’ team includes Bell and others from The University of Texas. Their research is published in the current Astrophysical Journal Letters. Both white dwarf discoveries were made using data from the Kepler space mission. The Kepler spacecraft trails Earth in its orbit around the Sun, recording time lapse movies of a few patches of sky for months on end. The Kepler data show that in addition to the regular rhythm of pulsations expected from a white dwarf, which cause the star to get a few percent brighter and fainter every few minutes, both stars also experienced arrhythmic, massive outbursts every few days, breaking their regular pulse and significantly heating up their surfaces for many hours. Bell elaborated: “When we build a telescope that observes the sky in an entirely new way, we’re going to end up discovering things that we never expected.” Though Kepler’s notoriety derives from its prowess as a planet hunter, “it’s told us at least as much about stars as it has about planets,” Bell said. That mix of excited atoms can store up and then release energy, causing the star to resonate with pulsations characteristically every few minutes. Astronomers can use the regular periods of these pulsations just like seismologists use earthquakes on Earth, to see below the surface of the star into its exotic interior. This was why astronomers targeted these stars with Kepler, hoping to learn more about their dense cores. In the process, they caught these unexpected outbursts. Astronomers are still trying to settle on an explanation for these outbursts. Given the similarity between the first two stars to show this behavior, they suspect it might have to do with how the pulsation waves interact with themselves, perhaps via a resonance. A five-year analysis of an event captured by a tiny telescope at McDonald Observatory and followed up by telescopes on the ground and in space has led astronomers to believe they witnessed a giant black hole tear apart a star. The work is published this month in The Astrophysical Journal. When a star encounters a black hole, tidal forces stretch the star into an elongated blob before tearing it apart, as seen in these images from a computer simulation by James Guillochon of Harvard University. On January 21, 2009, the ROTSE IIIb telescope at McDonald caught the flash of an extremely bright event. The telescope’s wide field of view takes pictures of large swathes of sky every night, looking for newly exploding stars as part of the ROTSE Supernova Verification Project (RSVP). Software then compares successive photos to find bright “new” objects in the sky — transient events like the explosion of a star or a gamma-ray burst. The team thought Dougie might be a supernova, and set about looking for its host galaxy (which would be much too faint for ROTSE to see). They found that the Sloan Digital Sky Survey [SDSS] had mapped a faint red galaxy at Dougie’s location. The team followed that up with new observations of the galaxy with one of the giant Keck telescopes in Hawaii, pinpointing the galaxy’s distance at three billion light-years. These deductions meant Dougie had a home — but just what was he? Team members had four possibilities: a superluminous supernova; a merger of two neutron stars; a gamma-ray burst; or a “tidal disruption event” — a star being pulled apart as it neared its host galaxy’s central black hole. To narrow it down, they studied Dougie in various ways. They made ultraviolet observations with the orbiting Swift telescope, and took many spectra from the ground with the 9.2-meter Hobby-Eberly Telescope at McDonald. Finally, they used computer models of how the light from different possible physical processes that might explain how Dougie would behave — how it varies in brightness over time, and what chemical signatures it might show — and compared them to Dougie’s actual behavior. In detail, Dougie did not look like a supernova. The neutron star merger and gamma-ray burst possibilities were similarly eliminated. “When we discovered this new object, it looked similar to supernovae we had known already,” said lead author Jozsef Vinko of the University of Szeged in Hungary. “But when we kept monitoring its light variation, we realized that this was something nobody really saw before. Finding out that it was probably a supermassive black hole eating a star was a fascinating experience,” Vinko said. Team member J. Craig Wheeler, leader of the supernova group at The University of Texas at Austin, elaborated. “We got the idea that it might be a ‘tidal disruption’ event,” he said, explaining that means that the enormous gravity of a black hole pulls on one side of the star harder than the other side, creating tides that rip the star apart. “A star wanders near a black hole, the star’s side nearer the black hole is pulled” on more than the star’s far side, he said. “These especially large tides can be strong enough that you pull the star out into a noodle” shape. Though astronomers have seen black holes swallow stars before — though less than a dozen times — this one is special even in that rare company: It’s not going down easy. Models by team members James Guillochon of Harvard and Enrico Ramirez-Ruiz at the University of California, Santa Cruz, showed that the disrupted stellar matter was generating so much radiation that it pushed back on the infall. The black hole was choking on the rapidly infalling matter. Based on the characteristics of the light from Dougie, and their deductions of the star’s original mass, the team has determined that Dougie started out as a Sun-like star, before being ripped apart. Their observations of the host galaxy, coupled with Dougie’s behavior, led them to surmise that the galaxy’s central black hole has the “rather modest” mass of about a million Suns, Wheeler said. The paper’s lead author, Jozsef Vinko, began the project while on sabbatical at The University of Texas at Austin. The team also includes Robert Quimby of San Diego State University, who started the search for supernovae using ROTSE IIIb (then called the Texas Supernova Search, now RSVP) and discovered the category of superluminous supernovae while a graduate student at The University of Texas at Austin.